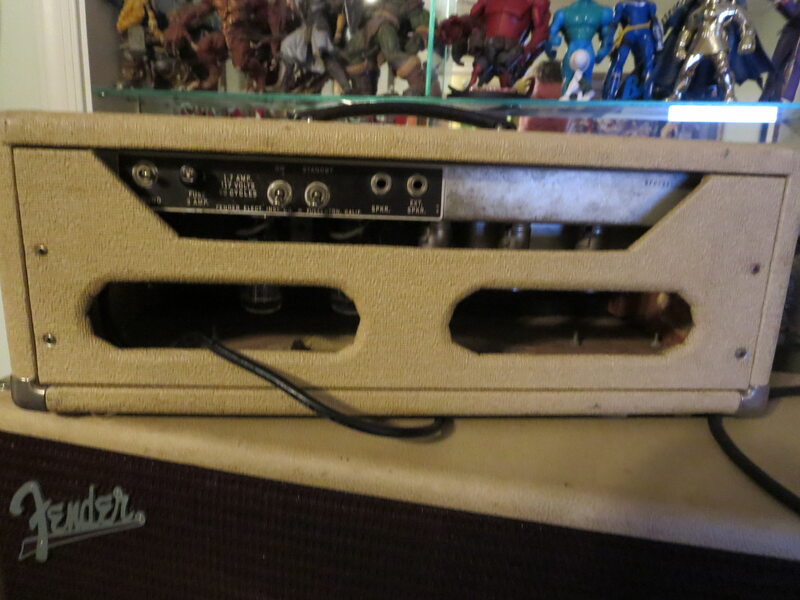 If anyone has read about my recent '64/'67 Fender Showman acquisition, you know I found a '63 Fender blonde tolex cabinet modified with oxblood grille at Atomic Music in Beltsville, MD. 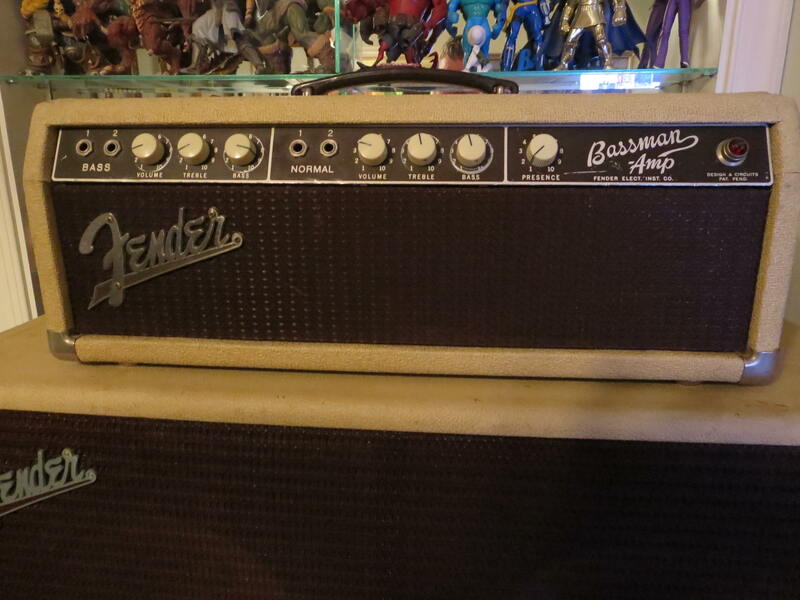 When I bought this cabinet, the shop also had a '62 Fender Bassman head. I knew my wife would kill me if I spent $2k (asking price) for it, so I headed home. The great thing about Atomic is that you can bring gear in to trade and get a pretty decent deal. I brought in some gear and a deal was reached. They even knocked $200 off the asking price of the Bassman head. After I get my Showman back from my amp tech, I'll bring the Bassman in to have it checked out. That's purty purty. It's a shame you're only buying heavy iron from the 60s...I have some from the 80s boxed up and ready to go! Thanks, TIm! Yeah, you know me, I love stuff from the early '60s - surf's golden age. 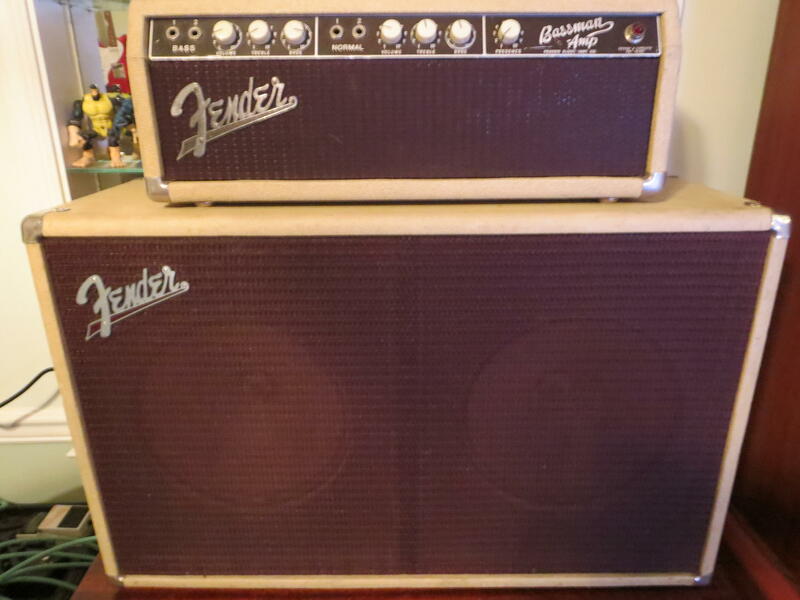 '60's & early '70's Fender amps rule!! They're generally really good on doing trades. Interesting that the interest in Fender starts in mid 1950s when they went off octal preamp tubes to 9 pin minis. So the golden age some say for fender is 1955-75 .. with the later 70s silver panels w/ master volume, pull pot volume, and cheaper cabs really marking the decline. Just to clarify, I'm referring to surf instrumental music's golden age and that surf bands of that era used Fender's blonde Showman and Bassman amps. Wow! Congrats! 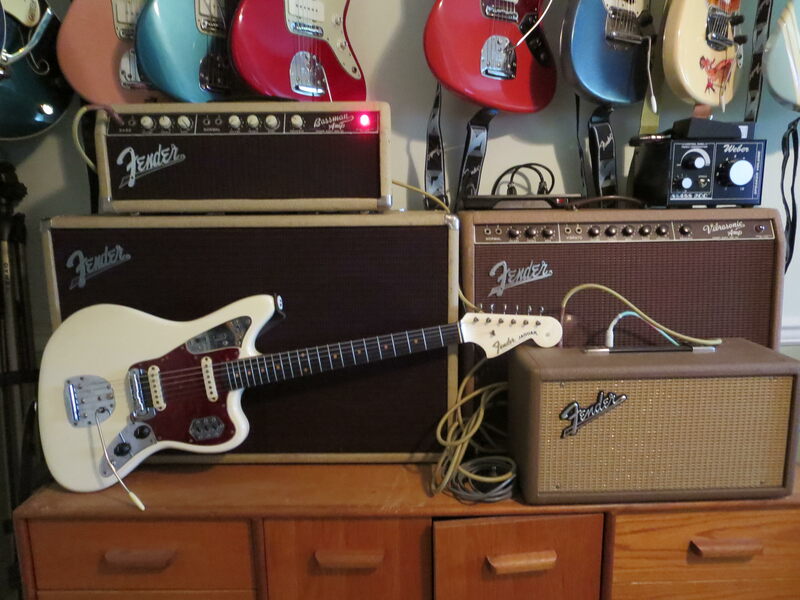 Your house is like an amp Disneyland . I’d buy a ticket and spend a day there! Thanks, guys! I had a go with the Bassman today and it sounded awesome through my El Sonido cab (Celestion Vintage 30s) with my '64 Fender Reverb Unit. Glorious surf heaven through the Bass channel. I took both the Bassman head and cab (in photo above) into my local amp tech for a checkup and stuff. 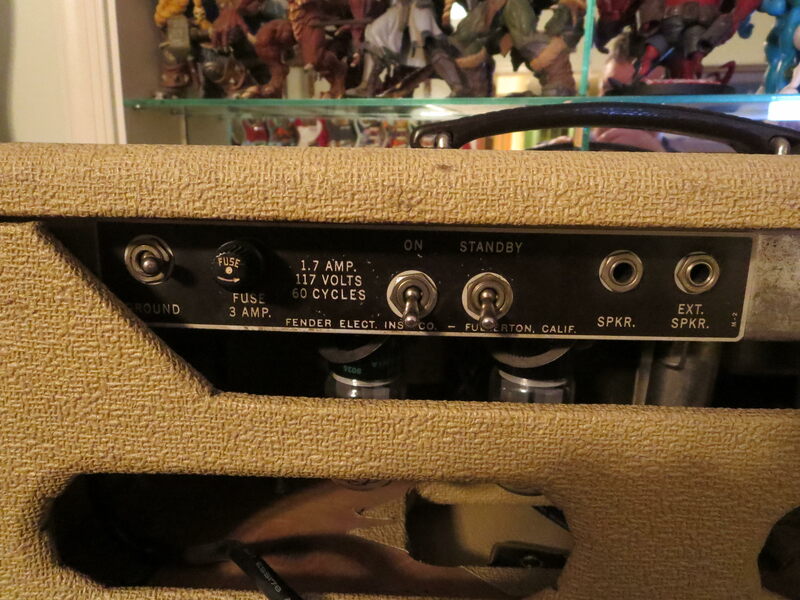 The amp head is in pretty good shape but the speakers need looking into. It put out a lot of distortion (for lack of a better description). Also, the amp tech will put some insulation into the cab. I got a 62 6g6a and it has a 8ohm OT. I thought it was a 4ohm for years but turns out its not. I immediately stopped using 2 8ohm speakers and now run two 16ohm speakers. In parallel I believe. Check the code on your OT ASAP to be certain of what you got..
12A5A is an 8ohm OT. 125A13A is an 4ohm OT. Im sure you understand how rare these amps and their iron is. Don't chance letting the smoke out of your amp due to miss matching load impedance.. Thanks for the head's up, much appreciated! It turns out mine is a 6G6-A 125A13A 606202. 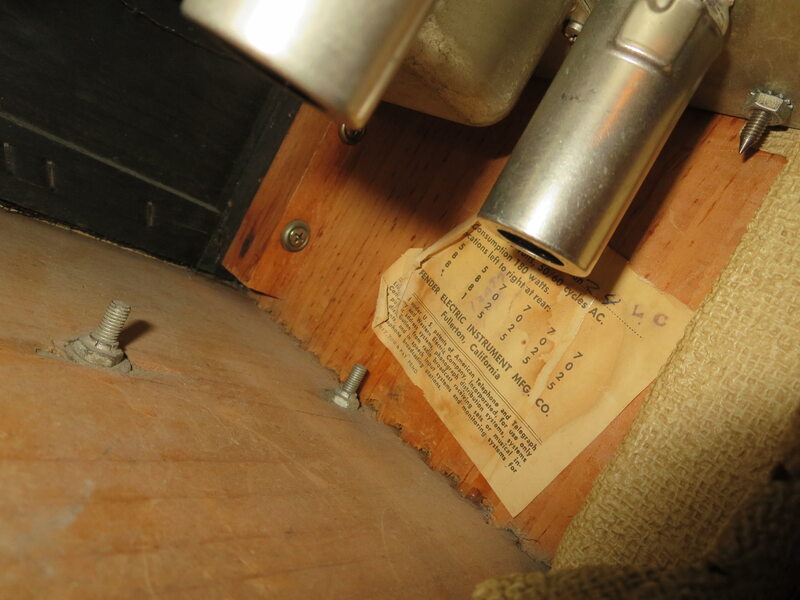 If I'm understanding correctly, I should be OK as I recently bought and installed two new 8 ohms Jensen speakers to use until I eventually get the original speakers re-coned. If I'm misunderstanding, please forgive my speaker noobness. Yes you nailed it.. I've read here Fender often used what was on the shelf to complete amps.. As I got a 61 output transformer in my 62 6g6a. Sometimes incorrect tube charts were used. Yours needs a 4 ohm match due to the OT you have not necessarily the year or fact its a 6g6a. That is a beautiful rig, my friend! If anyone noticed the Weber attenuator in the photo, it’s for my ‘67 Fender Showman - I’m waiting for my custom built 1x15 speaker cabinet from Beaver Bottoms to go with it. Should be a couple more weeks. I’m going to double check the inside of the Showman head to make sure I got the correct speaker ohms - a vintage JBL D-140F - I bought a pair of these off of Reverb a while back. I’ll keep the other one as a backup. Some of the early Bassman heads had 6 ohm transformers. I think they weren't sure whether they would use 1-15" or 2-12"s. You have to termintate them and measure them with an LCR meter or an impedance bridge. 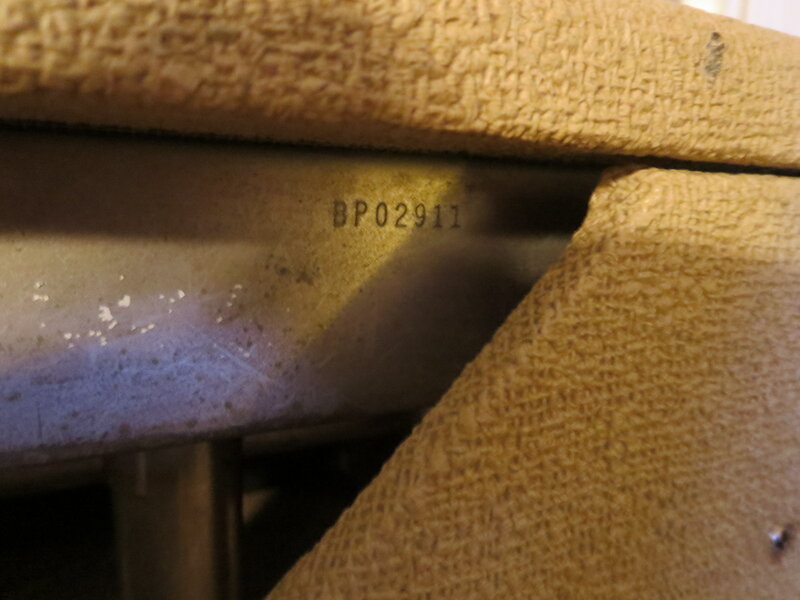 Don't trust the part number. Good to know! I'll take it into my amp guy to make sure. Thanks, Billy! So BZ...what are you supposed to do with a 6 ohm OT? what load would you put on that? Awww man.....terminate and check the OT to be sure.... Uuhhhg..